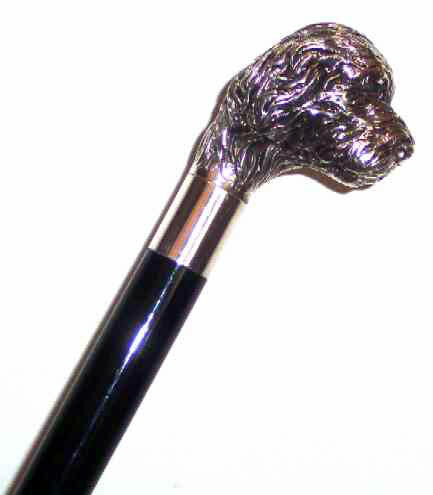 Presented here a wonderful silver sculped dog's head cane, 2-1/2" high. Hallmarked and marked 925. 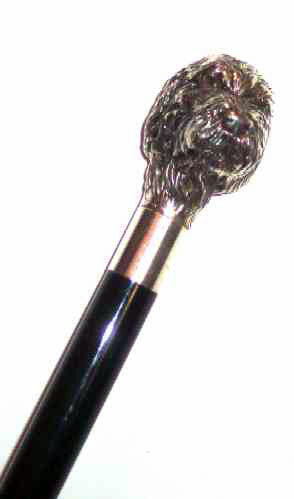 One inch silver collar and ebonized shaft with brass ferrule. Overall length is 36" The condition is very fine and this is an excellent example of this genre`.